Irrigation Department Punjab Professionals Jobs. 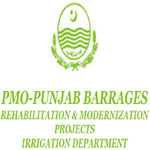 Irrigation Department, an equal opportunity organization, invites applications from suitable candidates domiciled in Punjab for Project Management Office (PMO) for Punjab barrages, rehabilitation & modernization projects for the following posts on prescribed forms which can be obtained from PMO during office hours or can be downloaded from www.pmo-pb.gop.pk. Qualification: B.Sc. at least 2nd division in Civil Engineering from a HEC recognized University or M.Sc. at least 2nd division in Civil Engineering (water resources) from a HEC recognized University. Preferably should have experience of more than 10 years in case of M.Sc Engineering or 15 years in case of B.Sc Engineering. Should have experience of design review of at least one mega project executed under FIDIC/World Bank/ADB conditions. Should have knowledge of latest Engineering codes of practice. 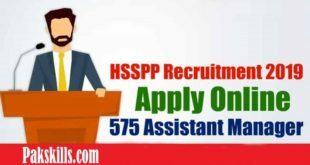 (1 post) (Age: 40*50 years) Pay Rs.74,681/- (in case of contract employee), BPS-18 (for appointment of Govt, employee by transfer pay package will as per Finance Department Policy letter dated 21-11-2014). Qualification: B.Sc. at least 2nd division in Civil Engineering from a HEC recognized University or M.Sc at least 2nd division in Civil Engineering / M.Sc Engineering with Construction Management from a HEC recognized University. Preferably should have experience of more than 10 years in case of M.Sc Engineering or 15 years in case of B.Sc Engineering in following areas. Should have experience of Contract Administration and Claims. Should be computer literate having experience of computer software i.e. primavera P3, MS project, MS office etc. (1 post) (Age: 40-50 years) Pay Rs.74,681/- (in case of contract employee), BPS-18 (for appointment of Govt, employee by transfer pay package will as per Finance Department Policy letter dated 21-11-2014) Qualification: B.Sc at least 2nd division in Mechanical Engineering from a HEC recognized University or M.Sc Mechanical at least 2nd division in Engineering from a HEC recognized University. Should have experience of designing hydraulic gates, hoisting mechanism and superstructures and supervision of Hydraulic Engineering projects on rivers/ large canals. (1 post) (Age: 40-50 years) Pay Rs.74,681/- (in case of contract employee), BPS-18 (for appointment of Govt, employee by transfer pay package will as per Finance Department Policy letter dated 21-11-2014) Qualification: M.Sc / M.A at least 2nd division in Rural Sociology / Sociology / Anthropology / Social Work from a HEC recognized University. Preferably should have 10 year experience in handling Social matters related to Construction of a Mega Project. Should have experience for implementation of RAP, SFA and out reach programs contain in mega projects executed under FIDIC / World Bank / ADB conditions / guidelines preferably in irrigation sector. Be fully aware of all protocols, rules /regulations as required in the national and international contracts. Should be capable to settle the complaints of public related to resettlement and re-location concerns. Should be capable to act as Project’s Spokesperson to keep stack holders informed regarding project intervention on a regular basis. Qualification: B.Sc at least 2nd division in Civil Engineering from a HEC recognized University. Preferably more than 5 years of experience of supervision of civil Engineering projects. Should have experience of construction supervision of mega projects. Should have experience of quality assurance of construction material. Preferably more than 5 years of experience of designing, planning, construction supervision of civil Engineering projects. Should be computer literate having experience of computer aided design, estimation. AutoCAD etc. Qualification: Middle. LTV Driving License Experience: LTV driving experience of 5 years. The above positions are on contract basis, for period of 31-12-2016. The government employees are eligible to apply. In case of selection of department candidates, their appointment may be made through transfer, pay and allowances shall be admissible as per finance Department’s letter No. FD.SR.I/9-20/2006 dated 21-11-2014. Applications for position in BPS-17 and above should be addressed to the Secretary Irrigation Department Lahore and below BPS-17 should be addressed to Head/Project Director PMO for Punjab Barrages. Applications along-with detailed C.V and one recent passport size photograph should reach at the PMO-Punjab Barrages, Project Offices Building, Canal Bank, Mustafa-abad (Dharampura), Lahore latest by June 10, 2015. No TAI DA will be paid. The competent authority reserves the rights to increase or decrease the number of posts. Attested copies of the NIC, educational qualifications, marks obtained in each examination with %age, experience certificates, PEC Registration Certificate (for Engineers) and domicile etc., must accompany the application. Original certificates will have to be produced, as and when demanded, before interview.